Concorde Mist valley leads you towards sanctified livelihood, setting a rostrum for best housing experience. The project sprawls over a vast premise of 140 acres and offers 1462 premium villa plots with bang-up features and facilities. 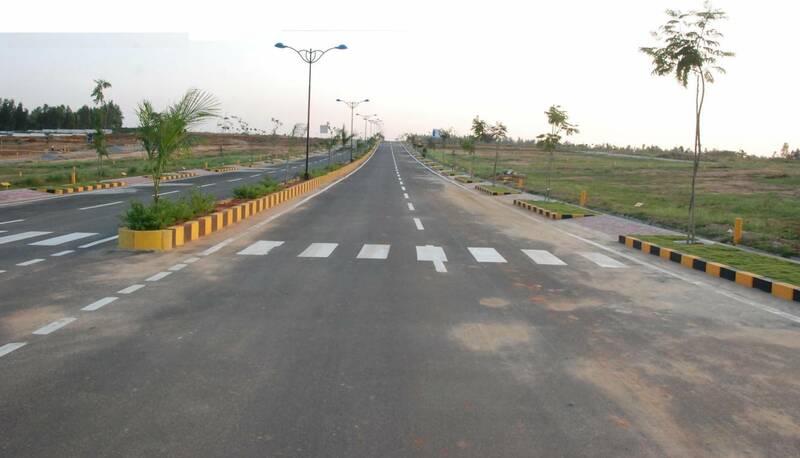 This development is situated in distinguished locales of Sarjapur-Bagalur Road, NH-207, Bangalore. With good infrastructure and planning, this residential community is one of best deals to invest-in. The premise includes brilliantly planned amenities and conveniences. 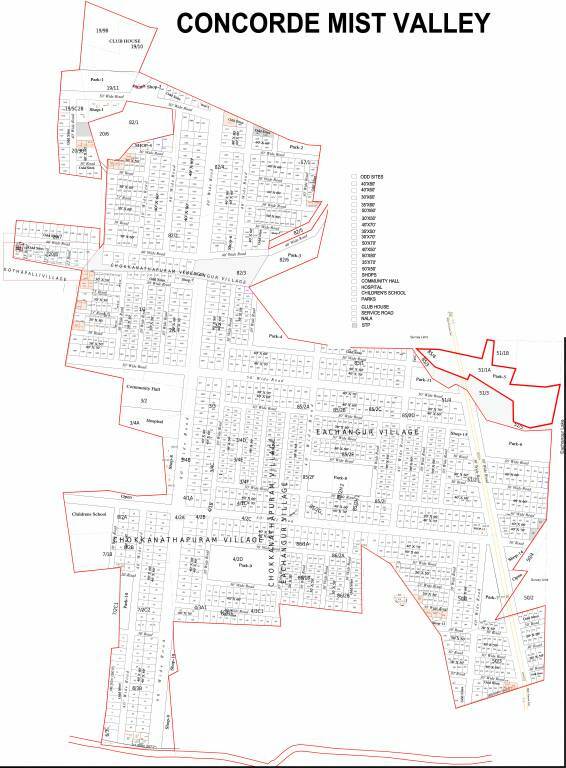 The layout has well laid urban infrastructure which includes bitumen roads, STP, sump &amp; bore-wells, sanitary, electrical and communication network. The other amenities offered includes fully equipped clubhouse with gym, indoor-outdoor recreational facilities, swimming pool with kid’s pool, children’s play area, mini theatre, tree-lined parks and landscaped gardens. 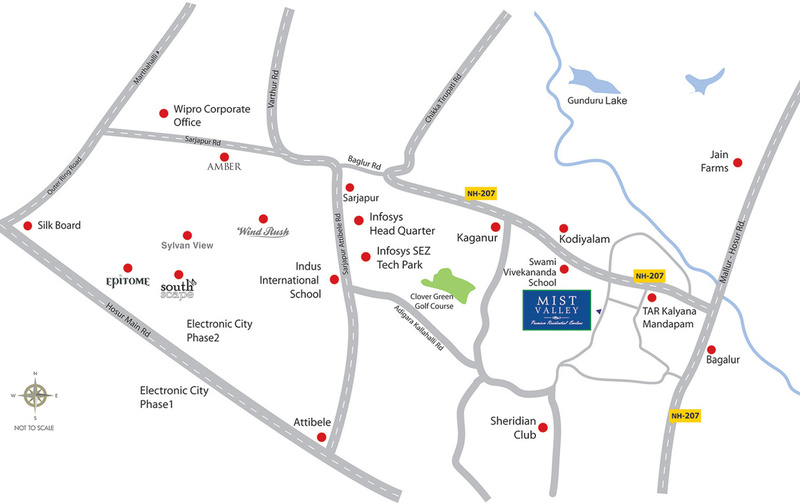 Concorde Mist valley is located in quintessential suburbs of Sarjapur –Bagalur Road, Bangalore. The project is rightly located in close vicinage to IT Corridors of Whitefield and Koramangala. The area is well-developed with good social and physical infrastructure, sheltering all essentials like good schools, colleges, health-care units, shopping malls, banks, super-markets, entertainment hubs and eat-outs. 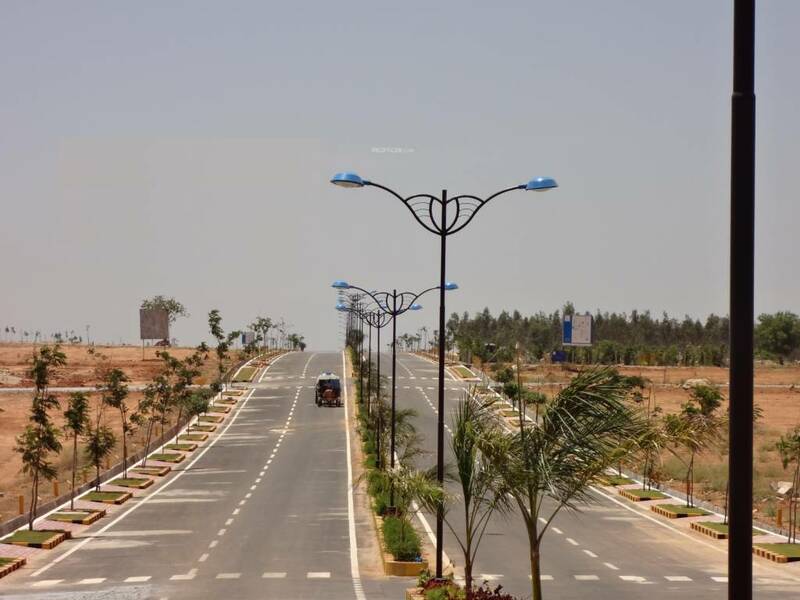 Sarjapur is one of the fast-developing parts of Bangalore with excellent road connectivity to key IT cluster areas like Whitefield (15 km), Electronic City (19 km), Outer Ring Road (16 km), Marathahalli and Koramangala. Please Fill The Enquiry form for Price. Beginning with a meticulous planning and upholding utmost consideration for quality through the development process is what makes The Concorde Group, an unparalleled developer. Pioneering the development of residential units with competitive prices, today the group has 750 crore worth of projects, due for completion in the next three years. The Concorde Group is strengthened by a team of proficient engineers, architects, marketing professionals, finance and legal personnel.